6 Commercial Real Estate & Properties in Parkinson are listed in 3 categories. We have 5 Industrial Warehouses Lease , 1 Other Commercial PropertiesLease and 1 OfficesLease . Excellent vehicle movement through out complex Separate entry & exit points, lockable gates and fenced 961 SQM warehouse with above average height 2 roller doors undercover 164 SQM offices can be constructed over 2 levels Can be leased with no office 1 048 SQM ground only Can also be combined with next door unit extra 1 301 SQM 3 phase power and provisions for amenities on both levels Cul de sac position allows plenty of turning for trucks Approximate If Applicable For more information or an inspection please contact Brian Manne. 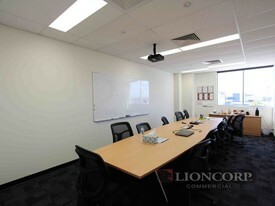 2670m2 quality tilt slab warehouse/office 2160m2 high bay warehouse 510m2 corporate style office Amenities include showers & kitchen on both levels Maximum internal clearance up to 8.5m Large all weather awnings Dual cross overs ensure excellent truck access Potential to lease half Parkinson is located approximately 19kms from the Brisbane CBD. The suburb provides good access to both the Mount Lindesay Highway and the Logan Motorway. Approx. 1124.8m2 concrete tilt panel warehouse/office 961m2 clear span warehouse 163.8m2 corporate office over two levels 9.7m 10.7m internal height 3 phase power (100 amps) and ability for more with onsite transformer 2 high bay roller doors plus 1 at rear for cross ventilation Dual crossovers Level hardstand to suit 40ft containers Prime cul de sac location Parkinson is located approximately 19kms from the Brisbane CBD. The suburb provides good access to both the Mount Lindesay Highway and the Logan Motorway. Approx. Tilt panel construction 1520m2 A grade Freestander Fully secure site 2 E;eclectic roller doors Plenty of Hardstand 2267 Land Parcel Ray white Industrial is pleased to offer this exceptional A grade Freestanding property immediate access to the Logan Motorway connecting your business with the Brisbane and Western Corridors. 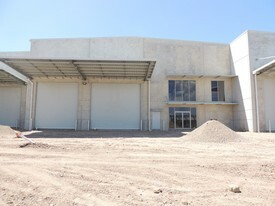 961m2 concrete tilt panel warehouse 86.9m2 corporate office space plus 76.9m2 office mezzanine 12 car parks with great access for trucks containers Up to 9.7m internal height Dual 6 x 5m electric roller doors Male female amenities 3 phase power Can be leased as 1, 2 or all 3 units together All 3 units ranging in sizes from 938m2 to 1,155m2 Very close proximity to Mt Lindesay, Logan and Gateway Motorways approx Please contact the listing agent for more details by clicking on the link above. Disclaimer: Ray White has not independently checked any of the information we merely pass on. We make no comment on and give no warranty as to the accuracy of the information contained in this document which does not constitute all or any part of any offer or contract by the recipient. Prospective purchasers / lessees must rely on their own enquiries and should satisfy themselves as to the truth or accuracy of all information given by their own inspections, searches, inquiries, advices or as is otherwise necessary. No duty of care is assumed by Orchid Avenue Realty trading as Ray White Surfers Paradise Commercial divisions toward the recipient with regard to the use of this information and all information given is given without responsibility.